A Duke University research team has found a way to help sporting officials detect whether an athlete's blood has been doped by an infusion of their own stored blood. A new study has increased understanding of the connection between angiogenin and neurological disorders such as ALS and Fronto-temporal dementia. Since their discovery in the 1950s, transfer RNAs (tRNAs) have been best known for their role in helping the cell make proteins from messenger RNA templates. However, recent studies have led to a previously-unsuspected concept that tRNAs are not always the end product; namely, they further serve as a source of small RNAs. 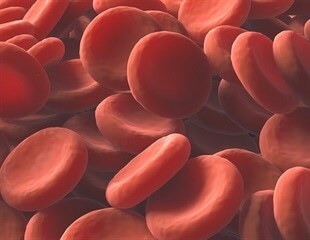 Tumors need a healthy supply of blood to grow and spread. Researchers at the Stanford University School of Medicine have identified a molecule that regulates blood vessel growth that is often found at less-than-normal levels in human tumors. Blocking the expression of the molecule, called PHD2, allows human cancer cells to grow more quickly when implanted into mice and increases the number of blood vessels feeding the tumor. Scientists have discovered a causal link between the gene for a small protein involved in the formation of blood vessels and the development of some forms of motor neurone disease.